A rare sight awaits. One reached by boat, with entrances as small as just three feet high, and stone facades that give little indication of what lies inside. And within lies a masterpiece in blue, where water and light come together to dance. 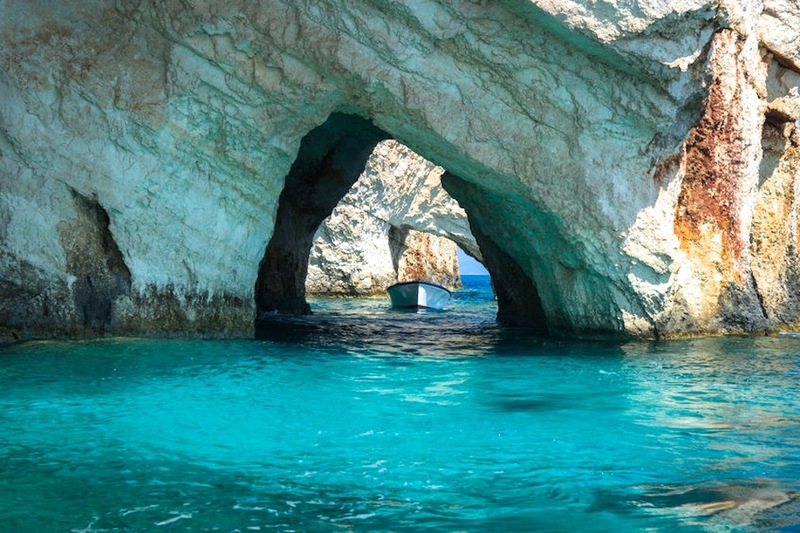 We’re talking about the blue caves of Greece. What makes them so stunning? It’s all about the light. Sunlight sneaks through the caves’ opening and is reflected through the water onto the stone walls, bathing them in blue. It’s no wonder that some caves, like the Melissani Cave in Kefalonia, were sacred to ancient Greeks. Melissani was considered the Cave of Nymphs and was a place of worship to them and a certain flute-playing god named Pan. And did we mention the water? A glowing blue so vibrant that swimmers have noticed their bodies take on the hue while they swim. Luckily, just an illusion, like the color of the caves themselves.